Driving is a dangerous business these days. With more and more distractions and impairing substances available to drivers, the sad truth is that you will be involved in an automobile accident at some point. It’s not a matter of if, but rather a matter of when. And when you do find yourself in a collision with another vehicle, there’s a good chance that you’re going to get hurt. Hopefully it will be something minor like a few bruises or scrapes, but you may find yourself with a more serious injury. Even if you don’t feel too bad right after the incident, you may find lingering pain or even pain that doesn’t show up for a few days. We call these “Delayed Injury Symptoms,” and they can cause you a lot of trouble in the long run, so they shouldn’t be ignored. Whiplash is a very common neck injury that is cause by your head “whipping” back and forth rapidly—like cracking a whip. This is very common with car accidents where you are struck from behind, causing your head to jolt forward quickly. These symptoms often don’t show up until 24-48 hours or more after the accident, so you may not even know that you have been injured at the scene. While whiplash can often heal on its own, a herniated disc usually needs to be treated medically. If you believe you might be experiencing a herniated disc in your neck, you should seek medical treatment. 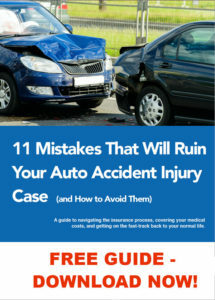 Shoulder injury are very common in car accidents. If your body in knocked around violently from a collision, you may stretch, tear, or rip any of a number of tendons and ligaments in your shoulder. This will cause severe pain and loss of movement in that shoulder. 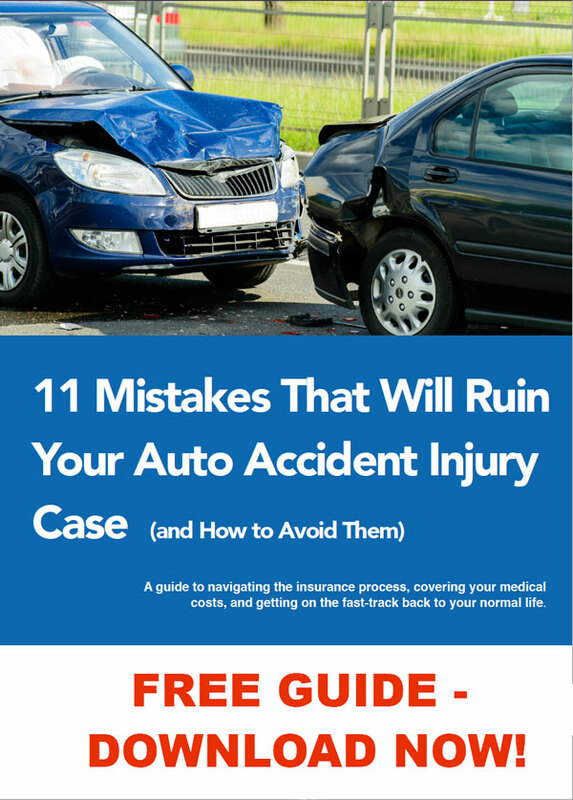 You may also break bones, sprain or strain joints, or simply have bad bruising from your seatbelt or colliding with a part of the vehicle’s interior. The more severe these injuries are, the more likely you will notice them immediately. However, pain can take several days to reach its peak, so you may be more injured that you initially thought. Like shoulder injuries, knee injuries are generally caused by striking the interior of your vehicle, most commonly the dashboard. This can cause broken bones (such as a kneecap), torn ligaments (such as an ACL or MCL), or a simple sprain or strain. Though you will probably know immediately if you have severely injured your knee, more bruising, swelling, and pain often appear 24-48 hours after the initial trauma. Over 50% of all reported brain injuries are caused by automobile accidents. Your brain floats inside your skull, and if you are hit hard enough your brain can collide with the inside wall of your skull, causing contusions (bruising of the brain) or even hemorrhaging (bleeding in the brain). If you have any of these symptoms following a car accident, you should seek medical treatment immediately. In more severe cases, victims can even develop post-traumatic stress disorder (PTSD). 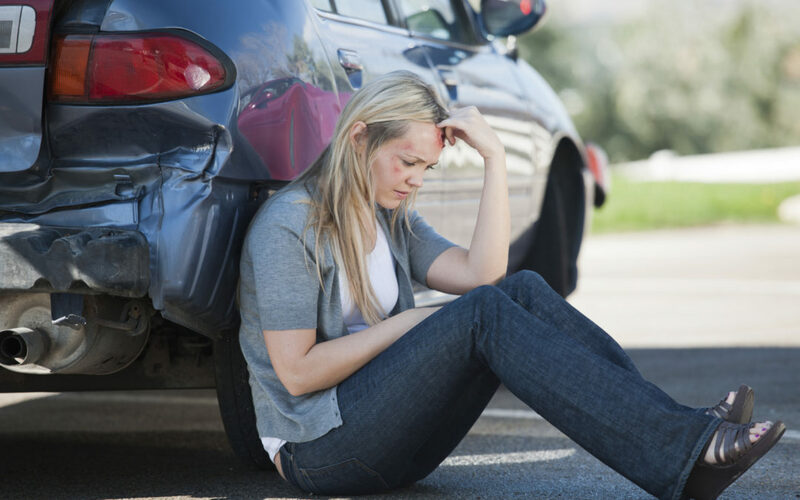 Though this is normally associated with military veterans and victims of crimes, a traumatic car wreck can cause this disorder as well, and it can affect you for years to come. If you’ve been in a car wreck recently, you should contact an experienced personal injury lawyer like those at Mountain State Law. We can discuss your symptoms and help you determine if you need medical assistance. We can also discuss your case and your injuries, and determine the compensation you are entitled to for medical bills, disability, and pain and suffering the wreck has caused.